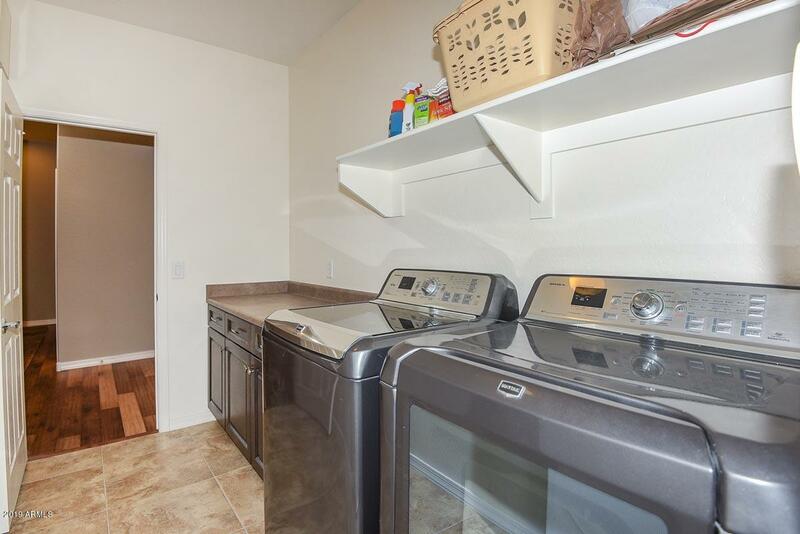 Welcome to easy and refined living. 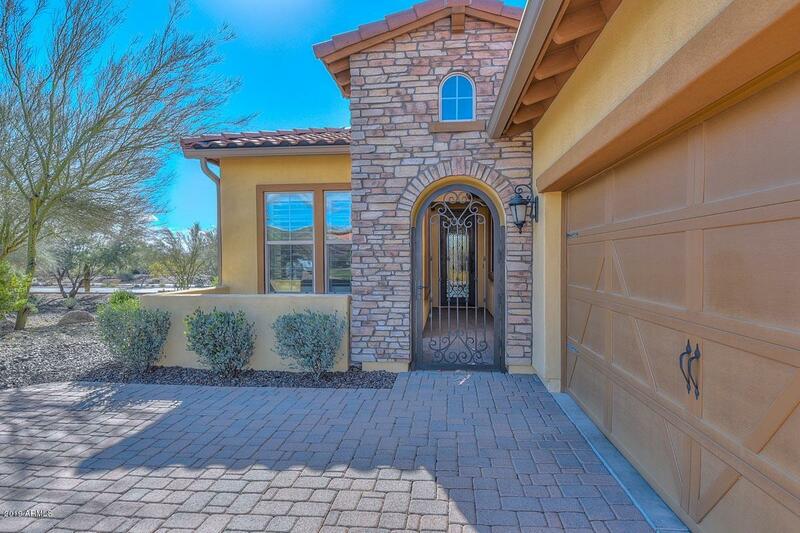 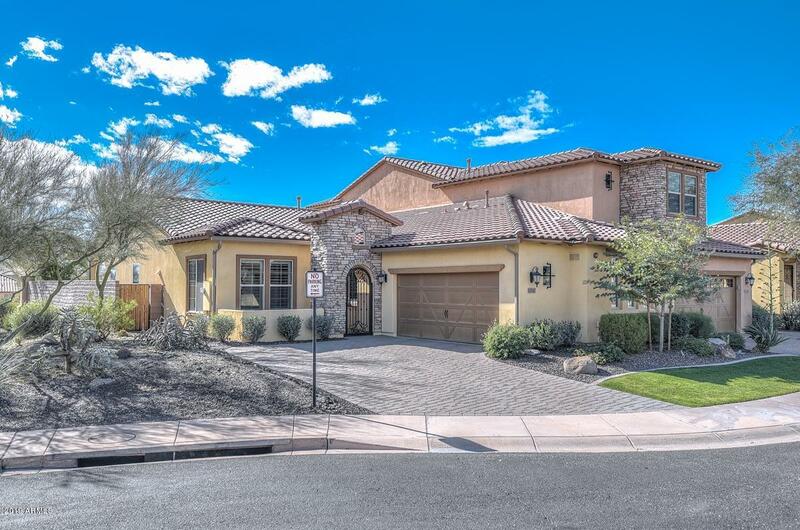 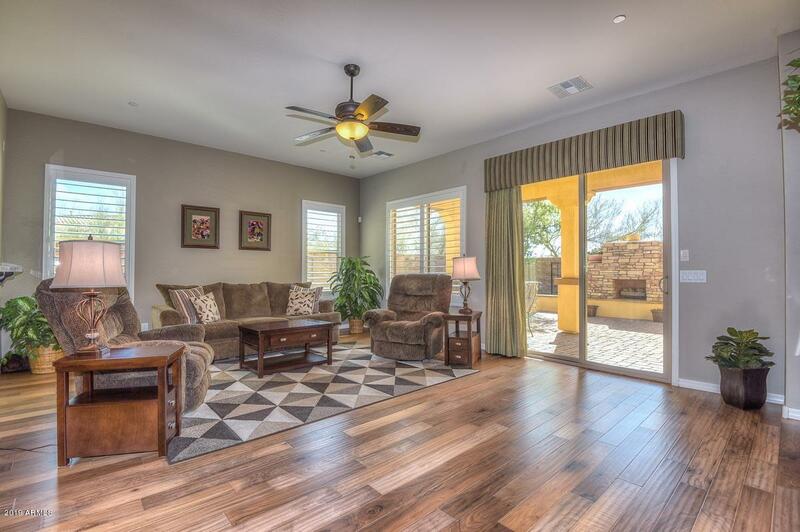 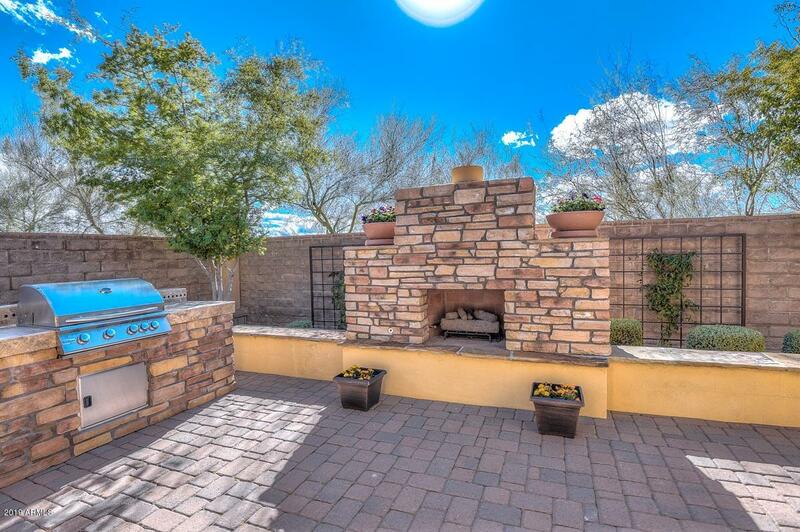 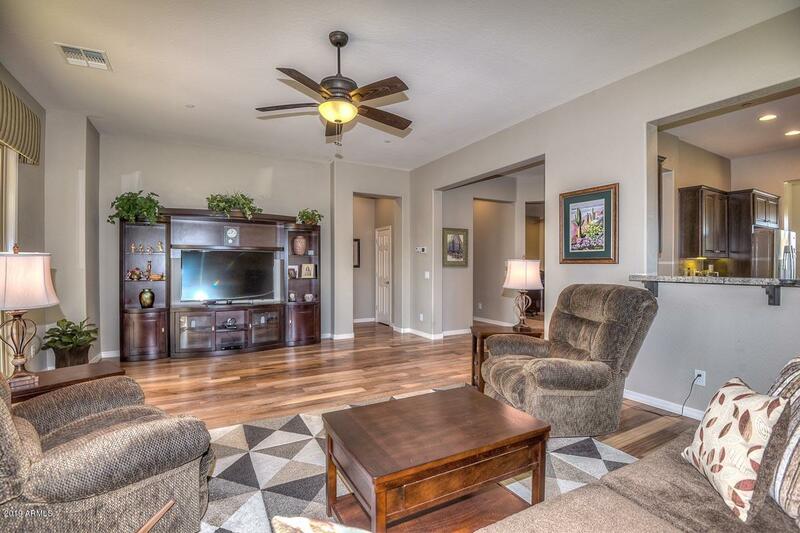 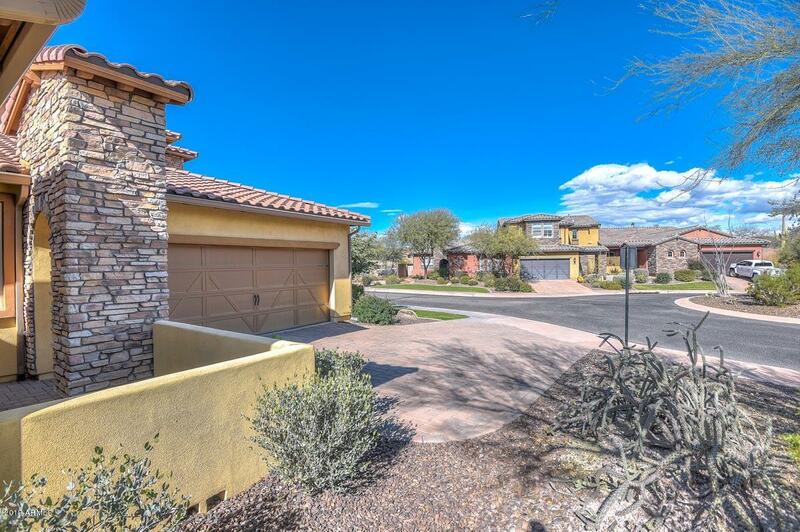 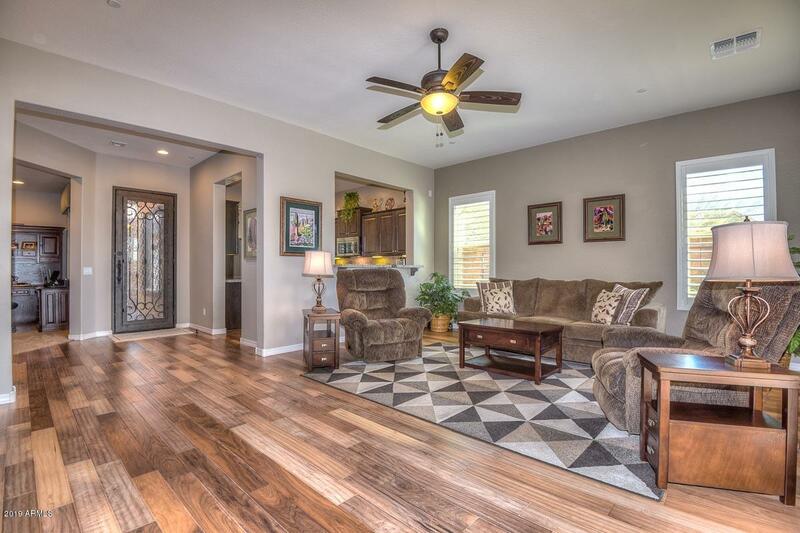 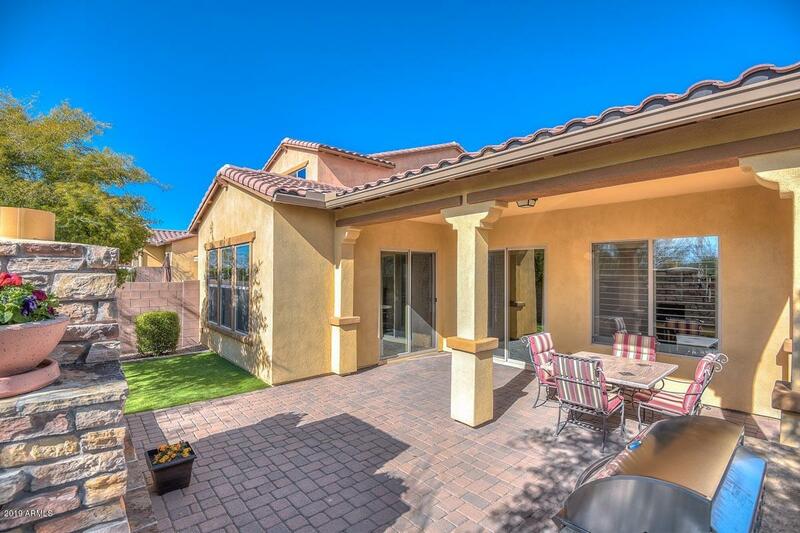 Located within the guard gated community of Blackstone you will find this charming villa. 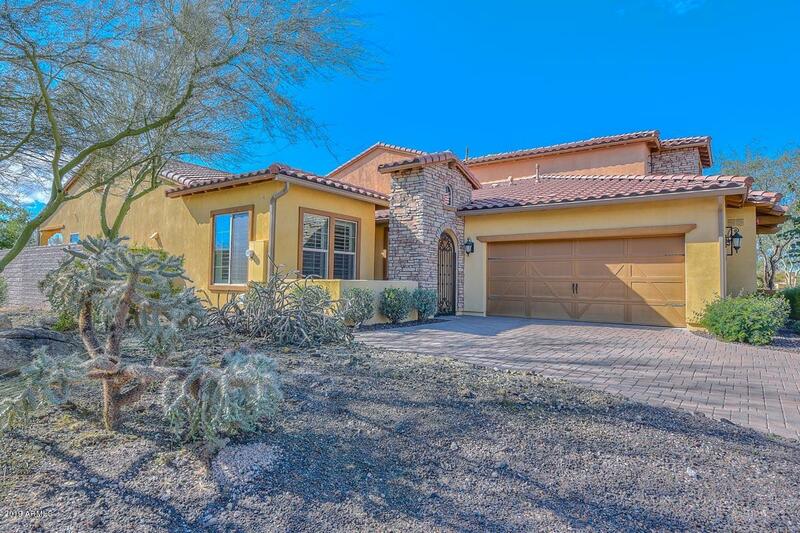 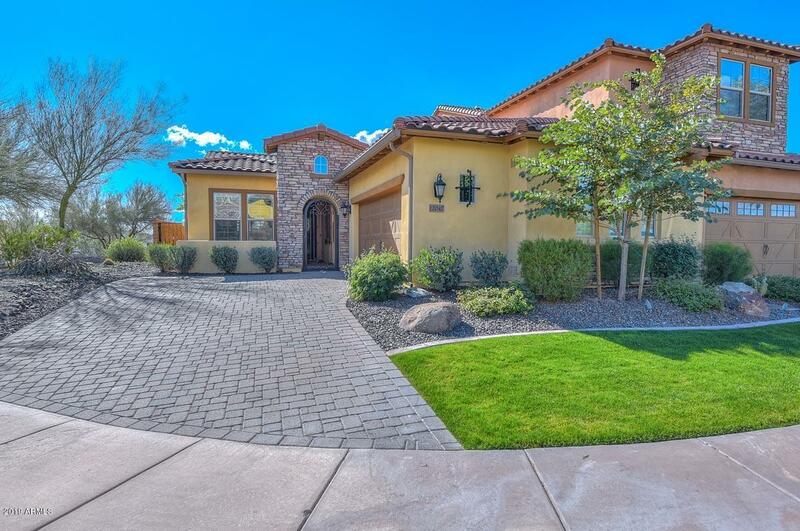 Nice stone accents, paved driveway and pretty desert landscaping greet you as you arrive. 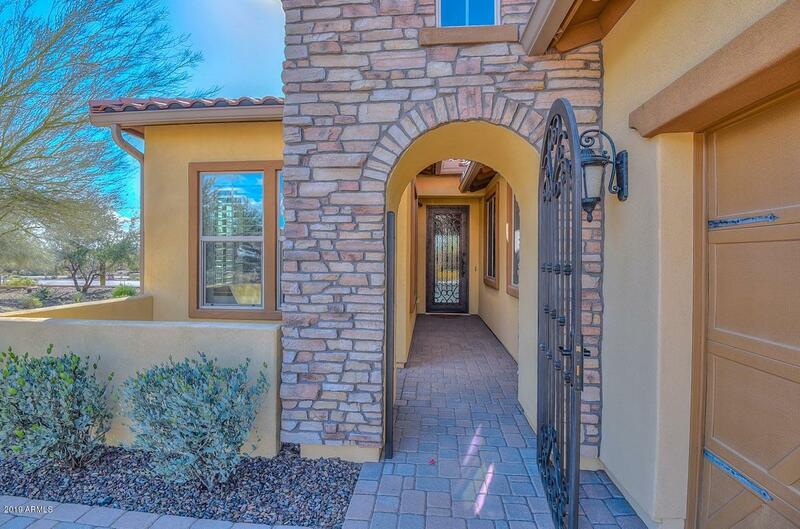 Beautiful arched gate encloses a nice front patio space. 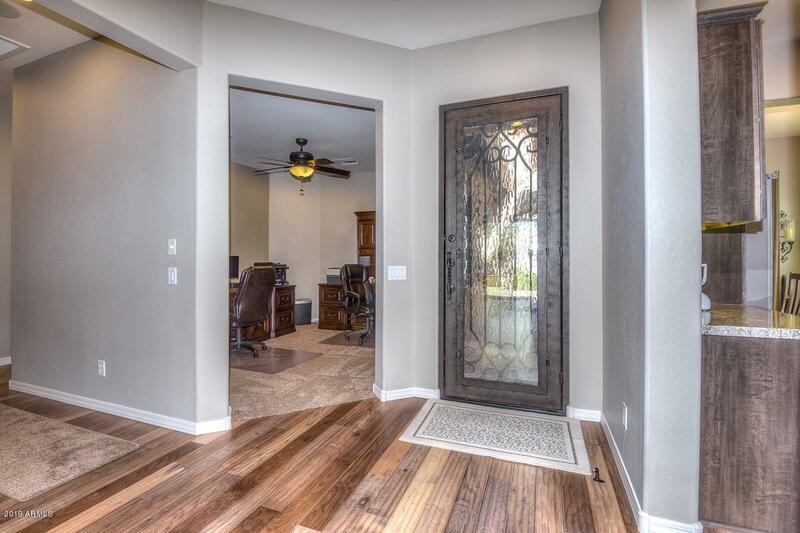 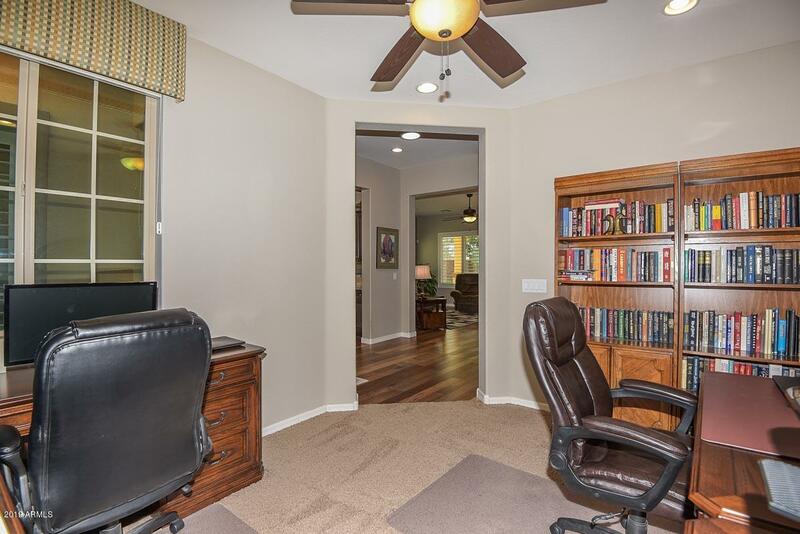 A glass and iron front door brings you into the living space where you will find a nice sized office tucked off to the side and great room/kitchen area. 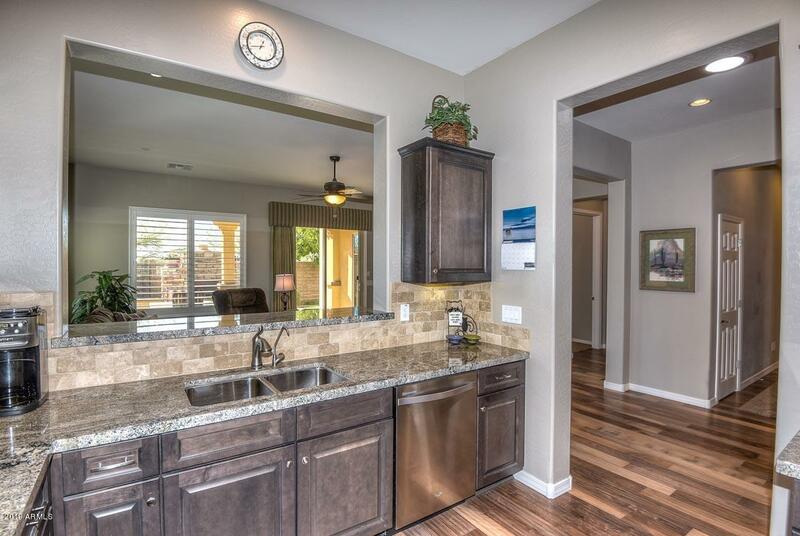 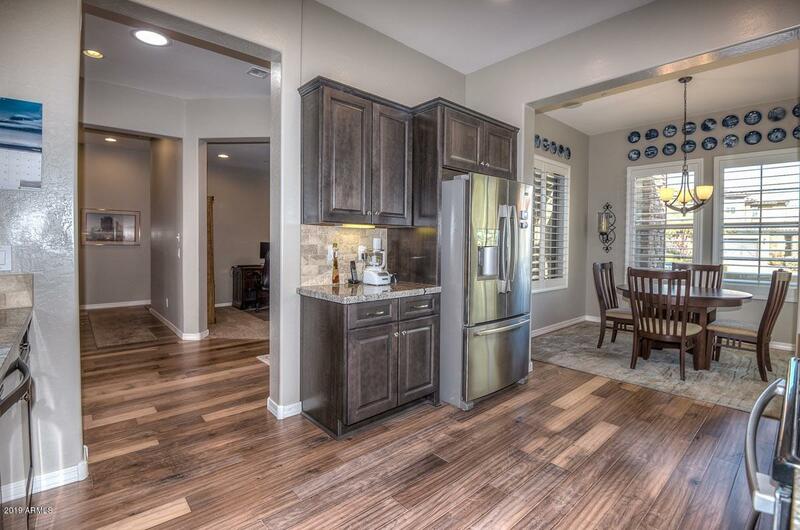 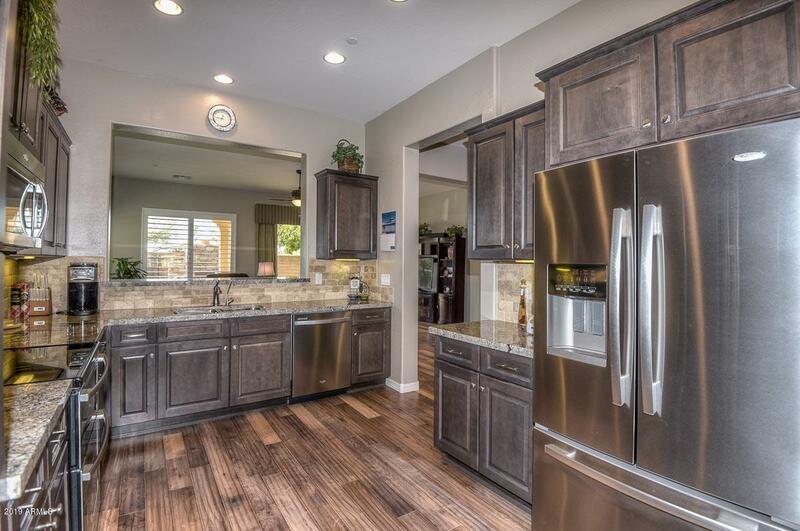 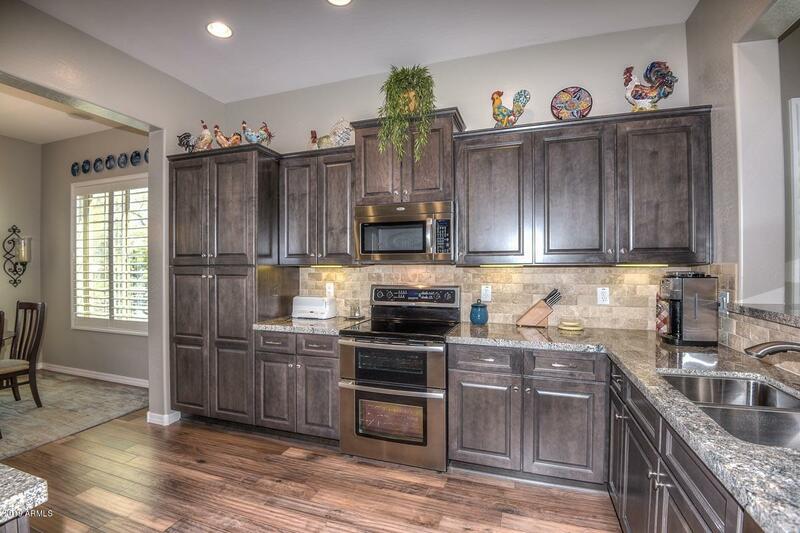 The kitchen has striking designer cabinets that are raised and staggered, granite counter tops, nice tile backsplash, stainless appliances and a very comfortable room for a table. 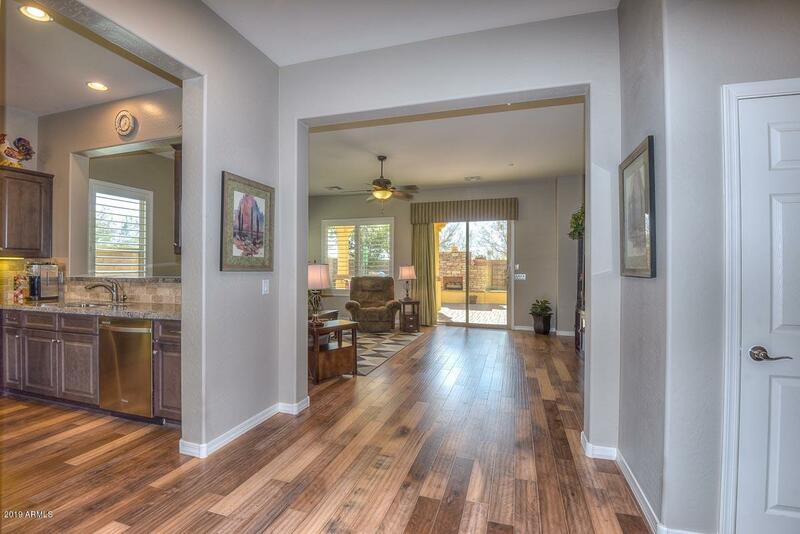 A large great room space with a pass through to the kitchen and a sliding door with a view to the outside. 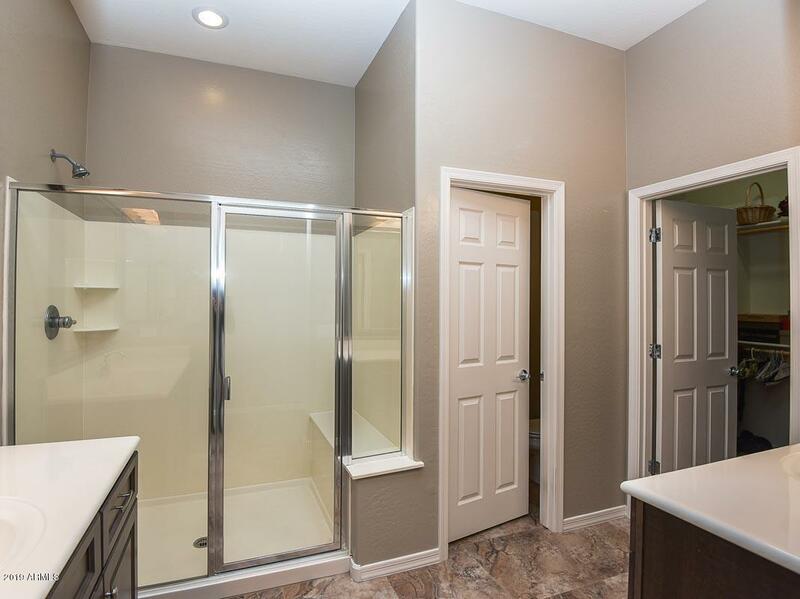 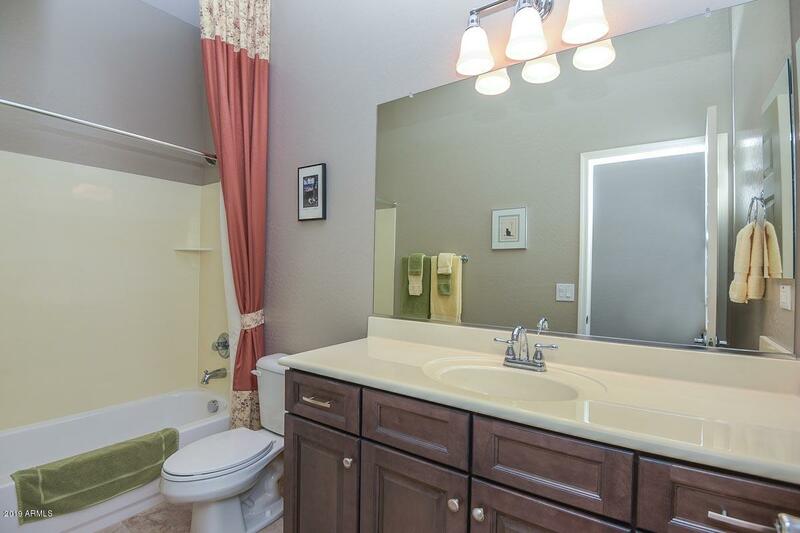 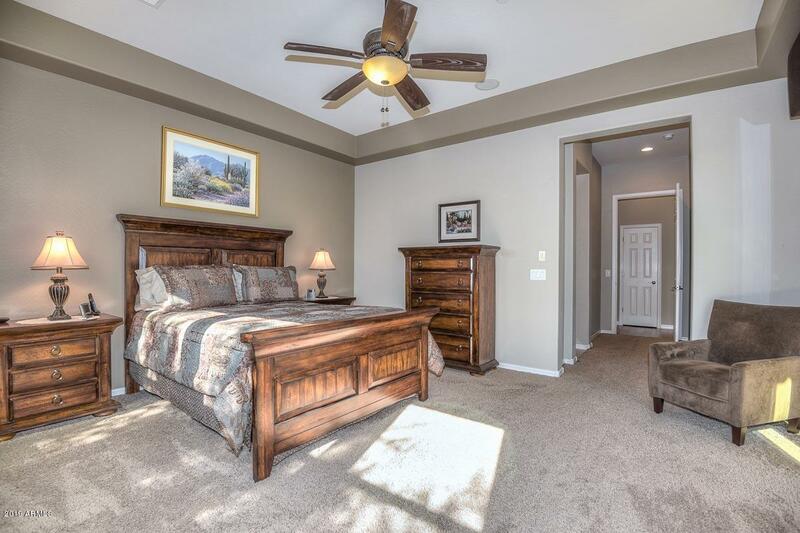 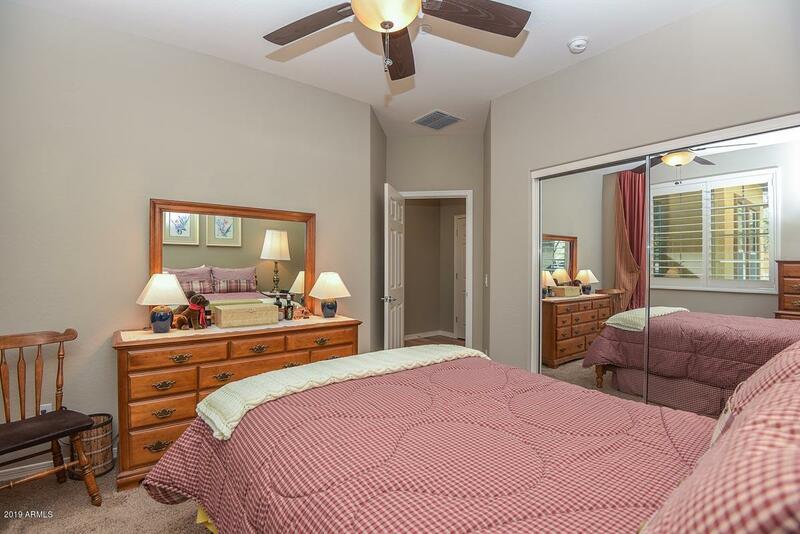 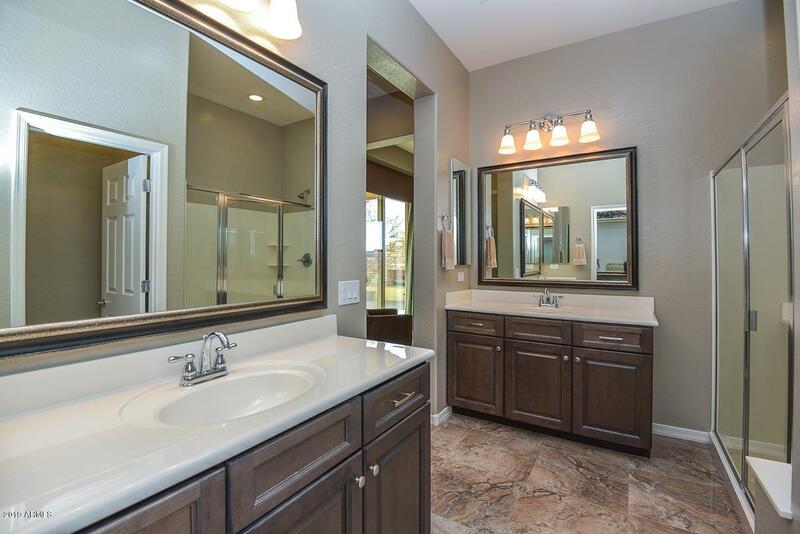 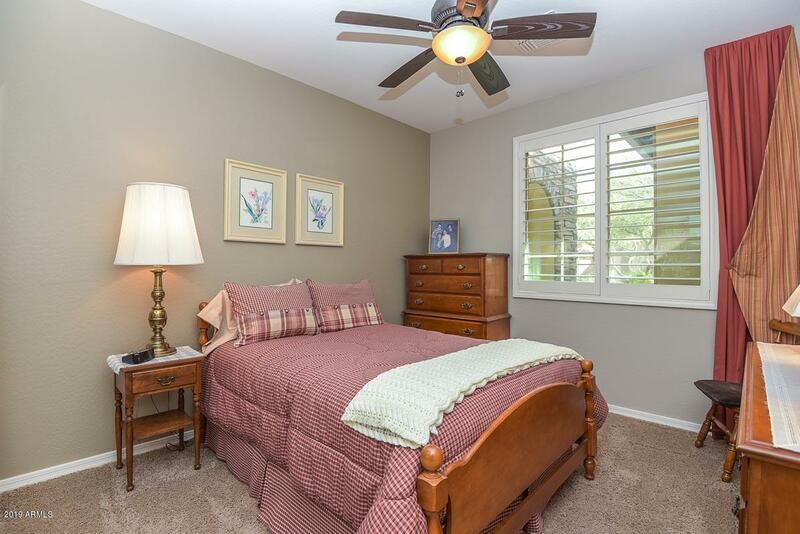 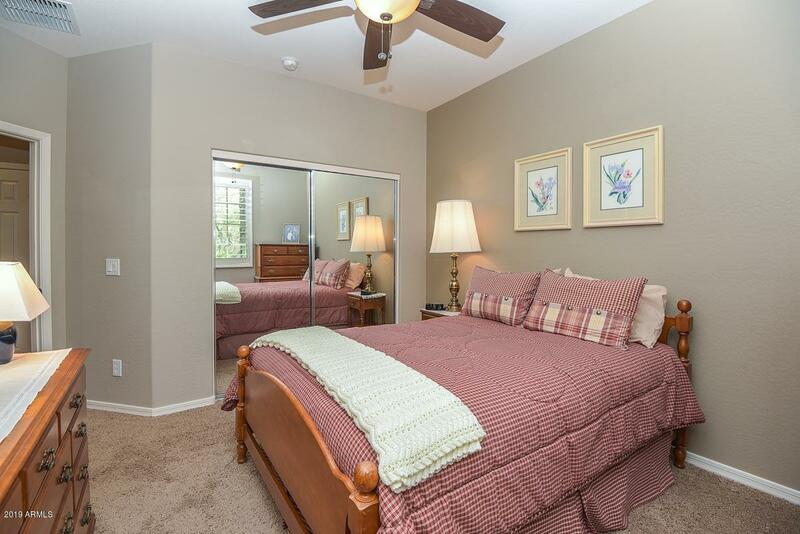 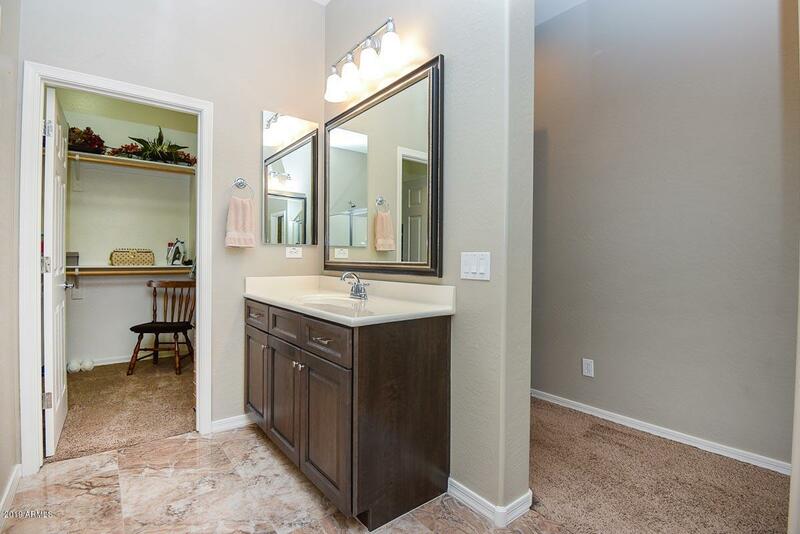 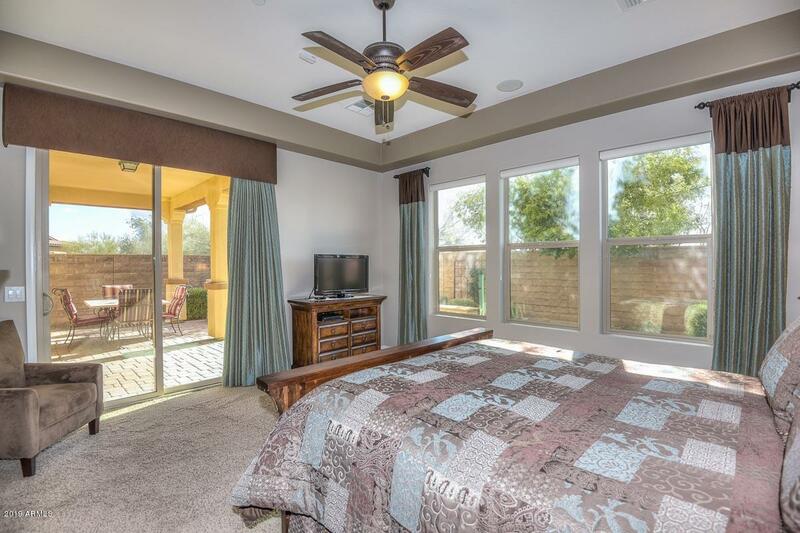 Lovely master retreat with en suite bath featuring dual vanities, walk in shower andwalk in closet. 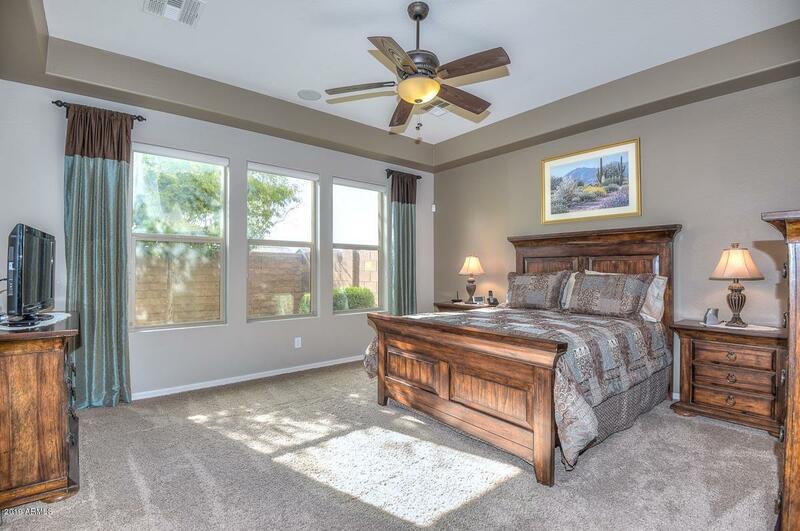 A nice sized second bedroom completes the interior of this well taken care of home. 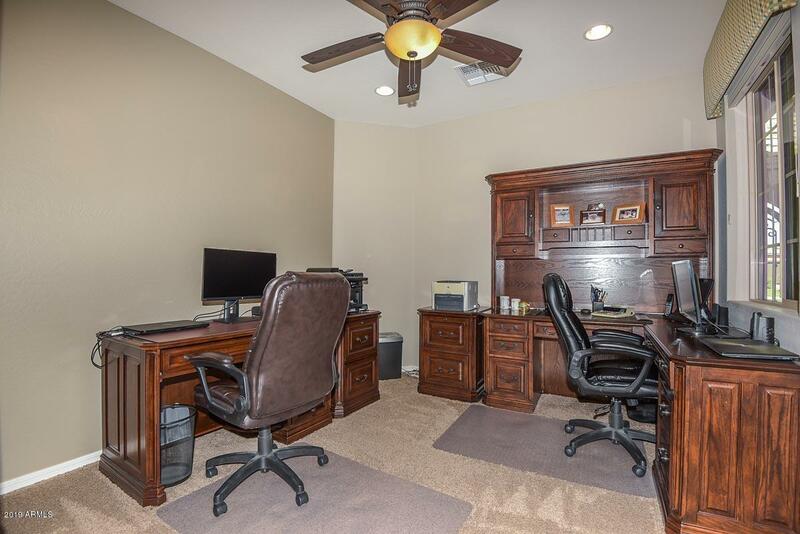 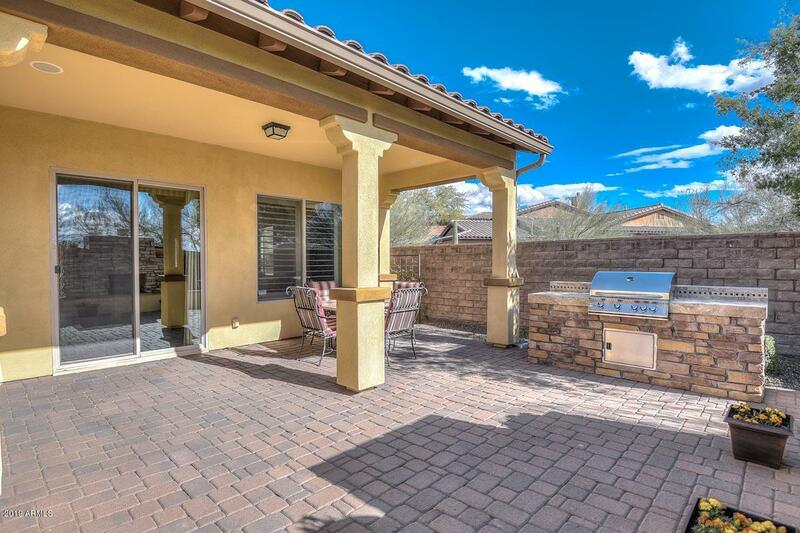 Outside you will fine a peaceful retreat complete with a covered patio, large paved decking, stone accented built in BBQ and a gorgeous stone fireplace that is the main focal point. 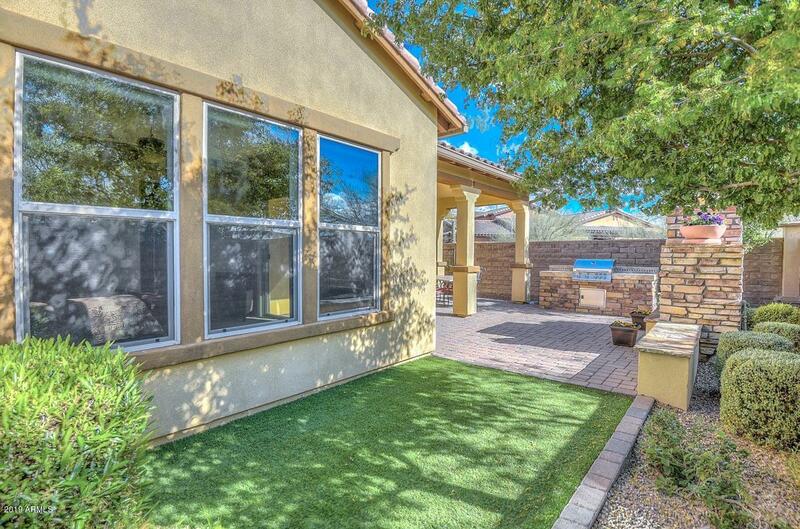 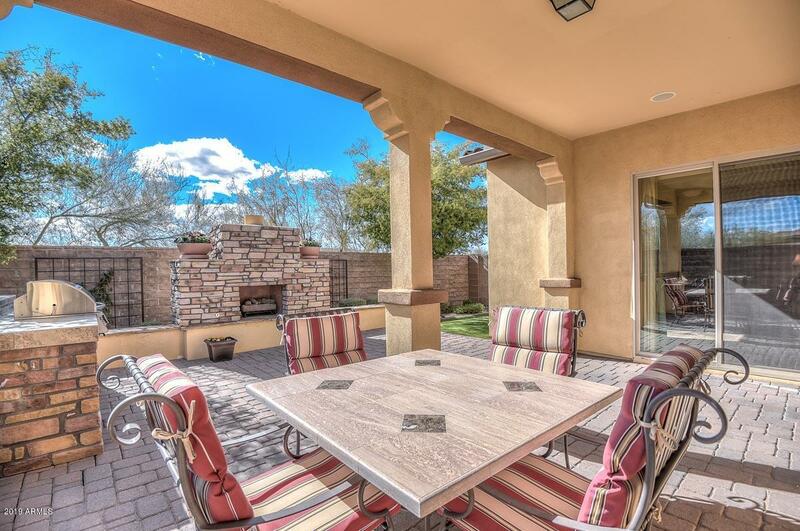 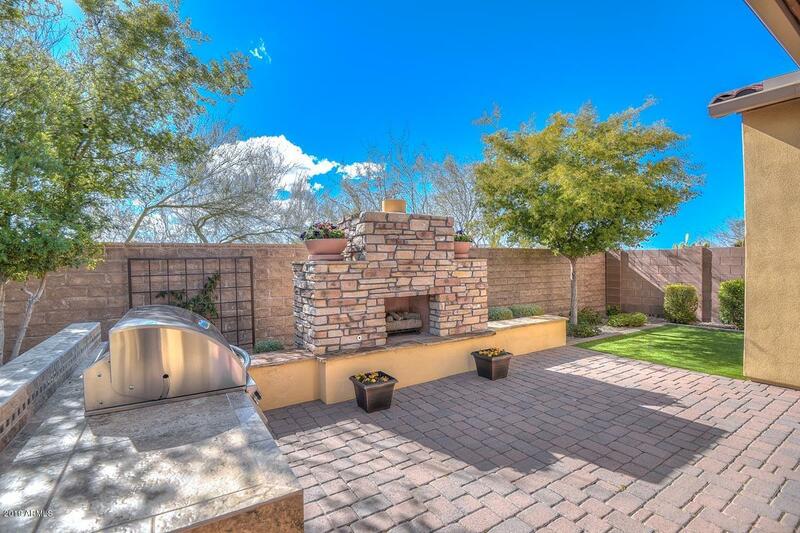 Pretty desert landscaping and artificial turf add the finishing touches to this outdoor living space. 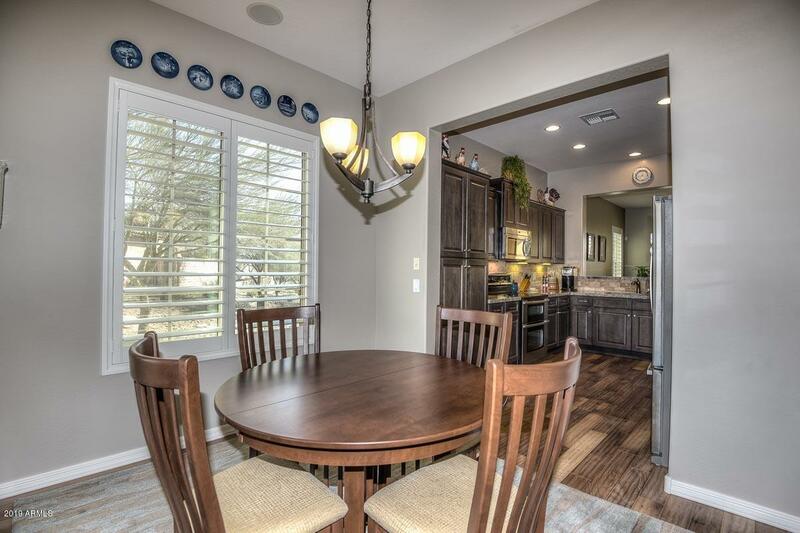 This is truly a special home!